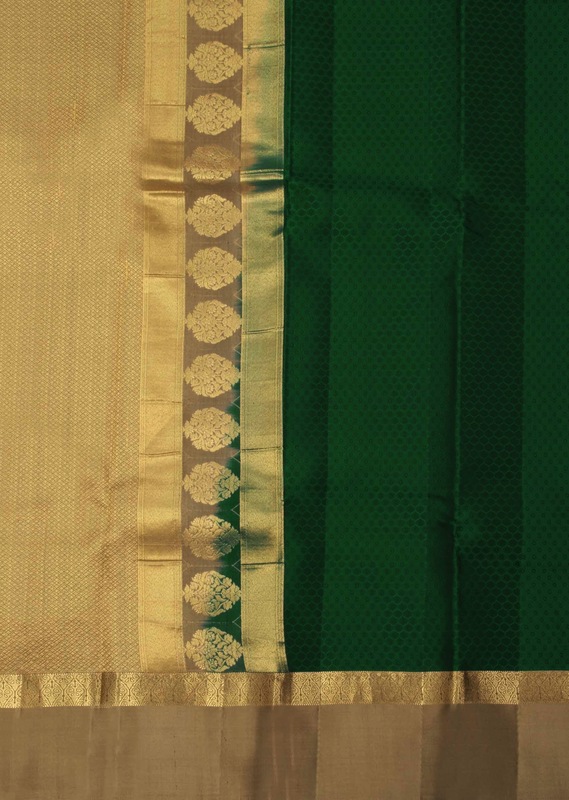 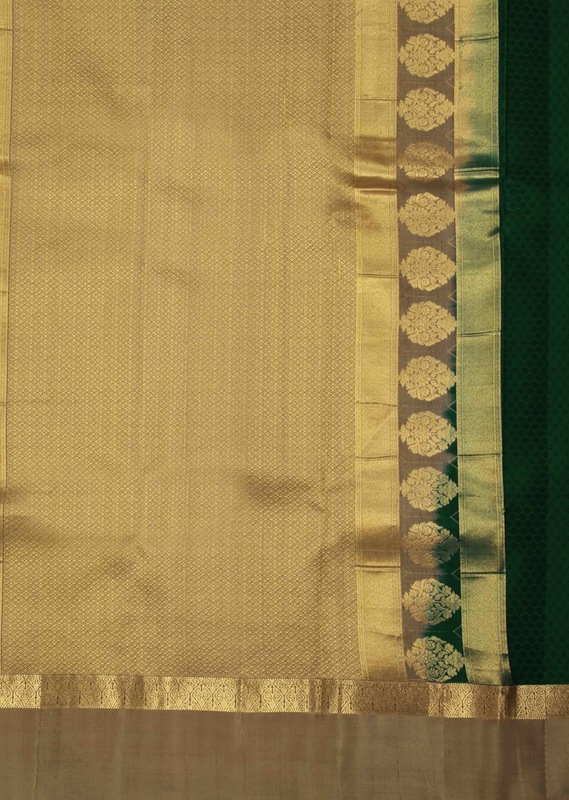 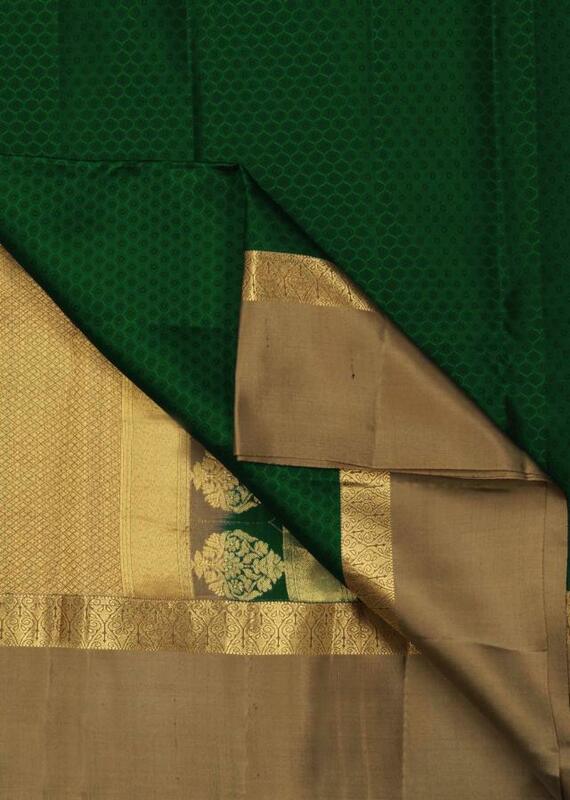 Dark green saree features in chanderi silk with self weave. 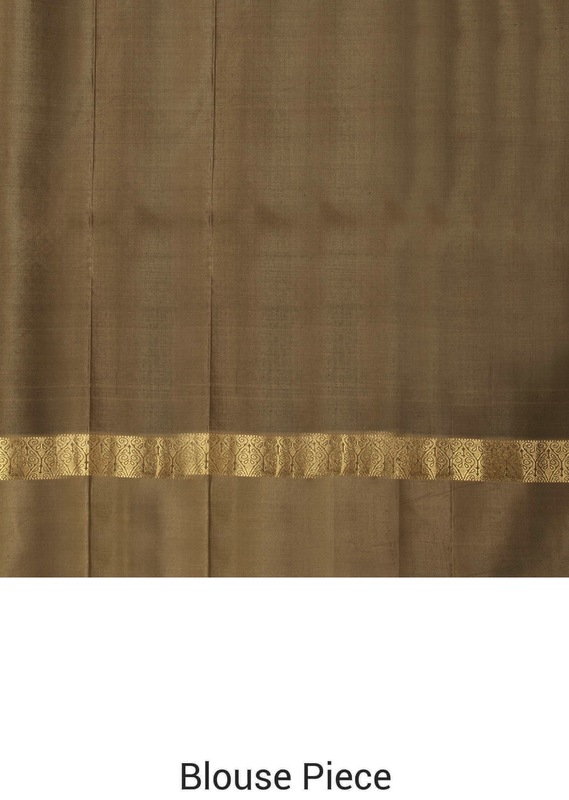 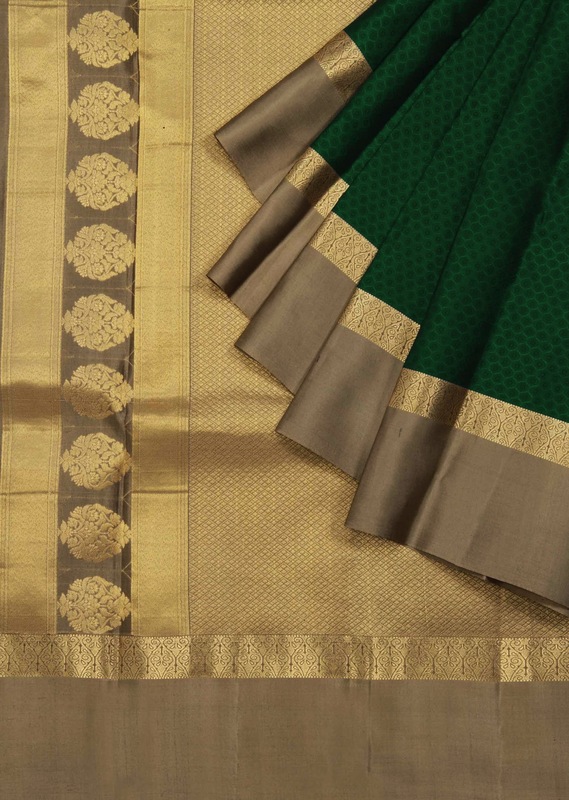 Pallav is in gold brocade along with grey border. 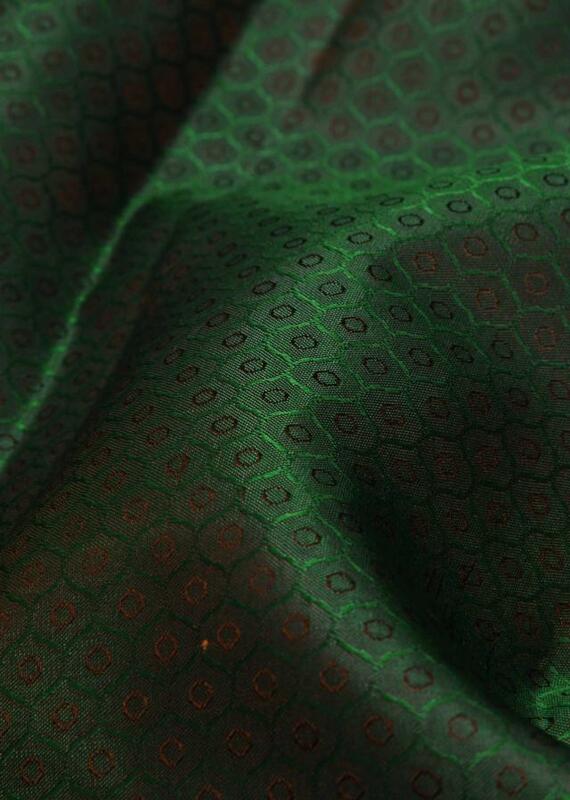 Matched with ready blouse in silk.